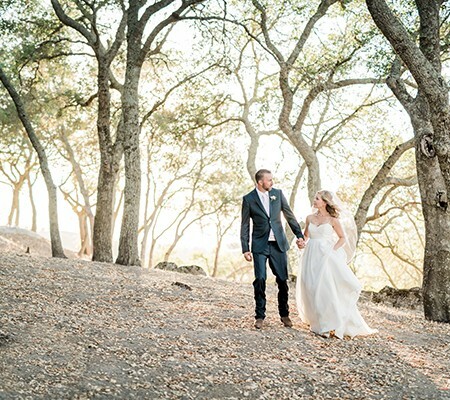 Under a canopy of 100-year-old oak trees with breathtaking views of the Santa Lucia Mountains, this venue evokes true romance. 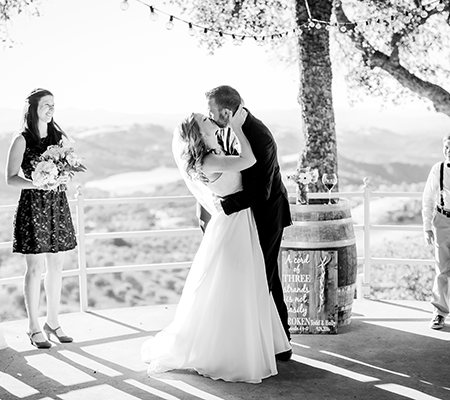 As you stand before your family and friends on the highest point in the Adelaida AVA, you will feel on top of the world as you say “I do.” After the ceremony, gusts can the breathtaking views and enjoy a glass of wine under the pergola. Any one of our venues may be rented on its own or in a package where you and your guests will have exclusive use for up to five hours. 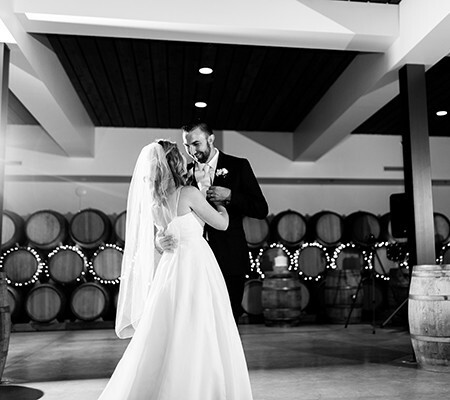 Our Estate package includes use of our 2320 Hilltop and our indoor Barrel Room, and the Signature package includes full use of our facility including our 2320 Hilltop, indoor Barrel Room, Tasting Room, and Tasting Room Patio. Our indoor Barrel Room is an elegant, rustic banquet room that transforms beautifully for every wedding design. 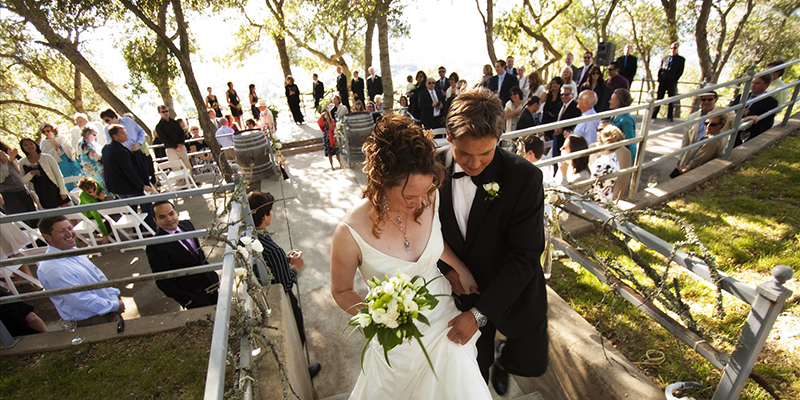 Our barrel room has everything you need to host the prefect reception. Complete with a state-of-the-art commercial kitchen, two stunning stair cases to make a grand entrance, french doors leading to an outdoor courtyard, and a dancefloor.